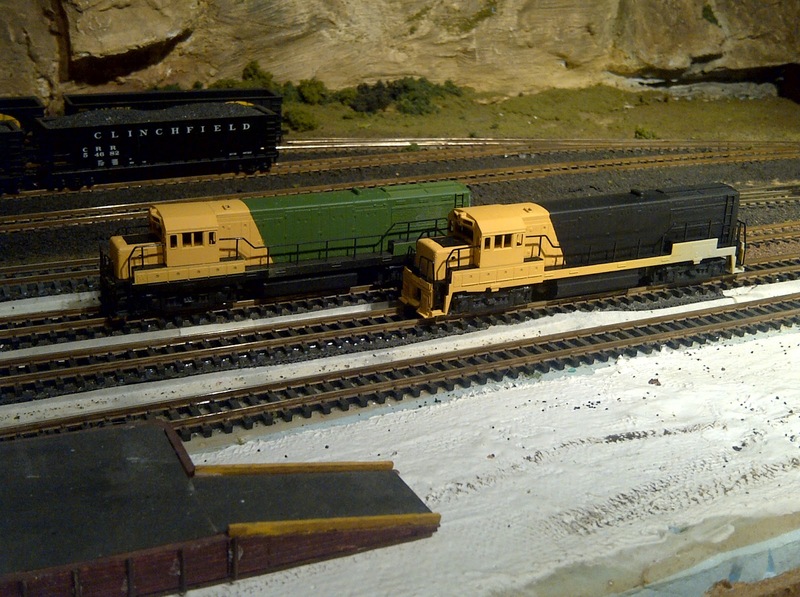 Well, its been a while since i did anything train related so here is an update. Last week i went to Artists Emporium here in Winnipeg. On sale they had an Aztek 470 kit for $79.99 instead of $169.00, Ok I can splurge for that price. And WOW what a difference it makes of the Badger I was using. So i started re doing some of the U25's that were posted about below. 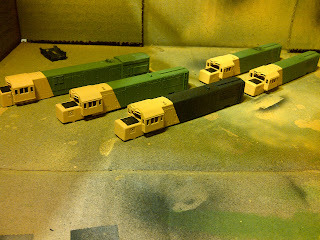 While painting the noses on the units, I had one U25 masked for the usual Reading Green. And while changing paints to the Reading Green from the black, I looked up and saw the unit below. 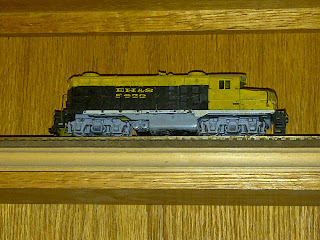 Now this was the first iteration of the EH&S back in my teen years. That is a Tyco GP-20 sitting on a Athearn GP-9 frame. 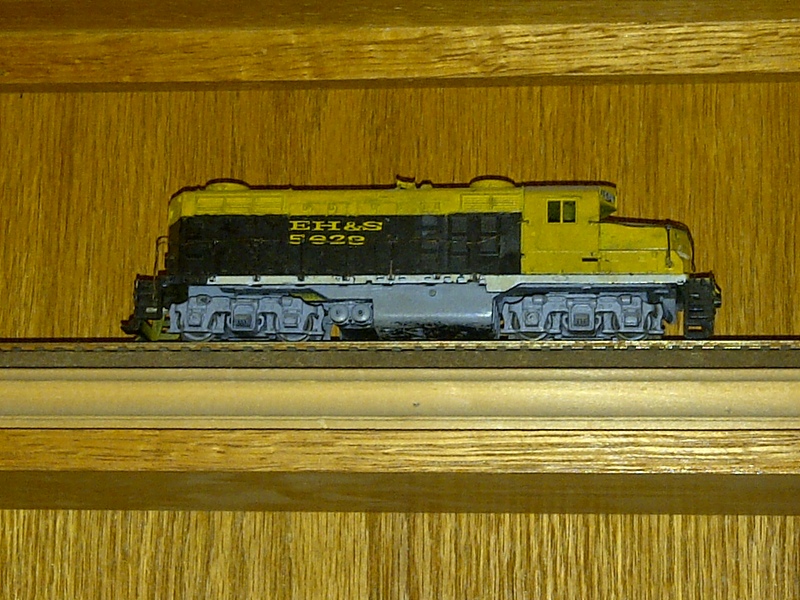 Fairly basic black & yellow paint, All done with Rattle Can. Upon seeing this I looked back at the one U25 awaiting another coat of green paint, looked at my current cup of black paint in the airbrush and you get the following. So this units frame isn't quite finished yet, it only has the yellow applied for the battery boxes. But mounted on the frame I think it looks sharp.